Autoimmune diseases, in which the body attacks its own tissues and cells, are becoming more and more prevalent. 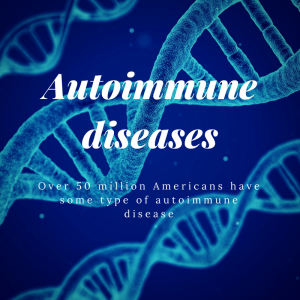 Over 50 million Americans have some type of autoimmune disease. As an attempt to combat these conditions, many patients are resorting to medications that merely mask symptoms. Hiding symptoms rather than trying to get to the root cause of the disease only prolongs suffering in the long run. 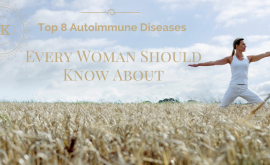 Many autoimmune diseases, whether they be Crohn’s Disease, rheumatoid arthritis, diabetes, or others, share common underlying problems that cause them. 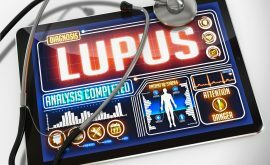 Find out what are the main triggers of autoimmune disease, and how to start eliminating them in order to get yours under control. Please note that there are other triggers that may affect particular autoimmune diseases and cause flare ups, but these are the most prevalent across the board. Gluten is the protein found in grain products like wheat, oats, barley, and rye. It seems to be a fairly new phenomenon that so many people claim to have a sensitivity to gluten. It is not our bodies that have changed, however, but the way that gluten-containing products are being prepared. Before, grains were less processed, and not eaten so frequently throughout the day. The protein, therefore, was not so hard on our systems once it had gotten through the digestive system. 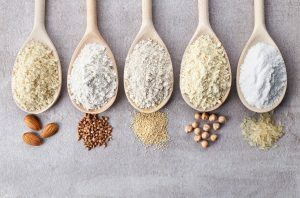 Now we experience harsh and frequent exposure to gluten, which can cause uncomfortable symptoms, especially for those with autoimmune disorders. 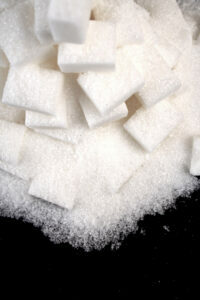 Sugar is more a part of all of our diets than it ever has been in generations past. Sugar overload not only exacerbates existing autoimmune conditions but can cause them in the first place. Type 2 Diabetes is believed to be caused by excess sugar intake, in which our bodies can’t produce enough insulin to keep up in processing it. When blood sugar levels are unbalanced this way, conditions are right for a host of other things to go wrong. Leaky gut syndrome, in which the lining of the gut becomes perforated, and food is allowed to pass through, is another aspect of autoimmune disease that has the potential to arise when we consume too much sugar. Many individuals who suffer from an autoimmune disease have a sensitivity to casein, the protein found in milk. This protein can often cause inflammation around the digestive tract. Lactose, or dairy sugar, can also cause a negative reaction among those who are lactose intolerant. This happens when lactase, which breaks down dairy, is absent or present in low levels. 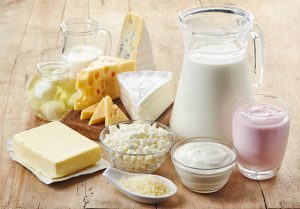 Lactose intolerance and autoimmune disease often go hand in hand. Both involve our bodies giving unwarranted attention to otherwise harmless substances. Cutting out dairy gradually, and eventually, completely, can help control symptoms. Oils with hydrogen added, or “hydrolyzed” oils, are known to cause extra inflammation in our bodies. 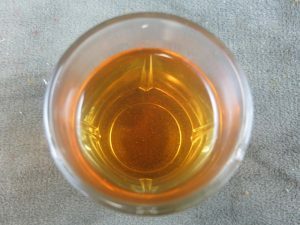 The modern diet sometimes contains from 45-40% or more of daily calories consumed from oils. This is a very large increase from a few decades ago when such levels of fat consumption were unheard of. When an autoimmune disease is present, extra inflammation is definitely harmful and encourages uncomfortable symptoms. Try to stick to lower fat foods or healthier oils like olive or coconut oil, to reduce the inflammatory effect of oils on the body. The microbiome is the community of trillions and trillions of bacteria living throughout our body and creating either balance or discord. When there is a healthy medium of negative and positive bacteria present, we are relatively healthy. Bacteria and viruses can also lead to diseases such as Multiple Sclerosis. When there is too much good bacteria, it may become “bored” in a sense and begin attacking its own tissue—modern sanitation is one theory as to why so many people these days suffer from autoimmune diseases in the first place. In order to maintain balance in our microbiome, a number of factors matter—diet is probably the most important, but stress, drug use, and lack of sleep also play a part. Foods that are known probiotics, such as yogurt, pickles, or olives, can help restore a healthy bacteria level. When levels are balanced, our bodies have a more regulated immune response, and a greater output of positive hormones. Exposure to pollution is only becoming worse. Of all the toxic chemicals in the world, the majority of them have been introduced since 1900—a staggering 80,000 synthetic chemicals have been created since then, and only a fraction of a percentage have been tested for safety for consumption or even exposure. Autoimmune diseases such as Rheumatoid Arthritis have been linked with air quality as a potential risk factor, check out our post on Air Quality: Potential Risk Factor of Rheumatoid Arthritis to learn more. In our homes alone, we use cleaning chemicals, fragrance sprays, scented shampoos, and all other sorts of chemicals on a daily basis. Many of these are harsh, and even the slightest exposure can cause negative health effects. For those who suffer from allergies, chemical sensitivities are usually also present. Even if we don’t start off with chemical sensitivities or autoimmune disorders, prolonged exposure to toxins can bring about such problems. 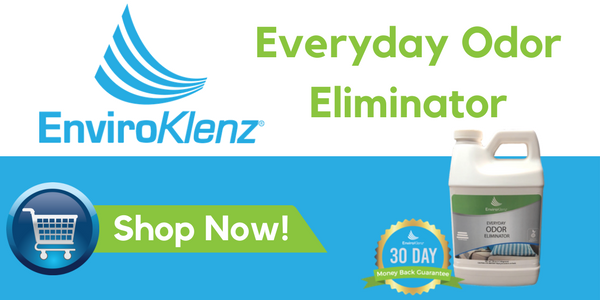 The EnviroKlenz Everyday Odor Eliminator can be your secret weapon to expelling chemicals and odors from a variety of sources in your home including carpets, upholstery, flooring, walls, and any other water-safe surface. 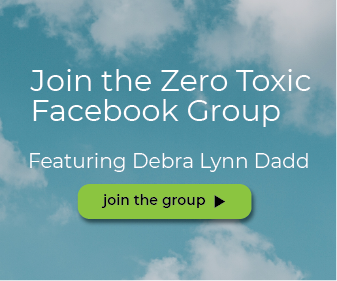 While many environmental toxins simply cannot be avoided, it is possible to greatly reduce their presence indoors. 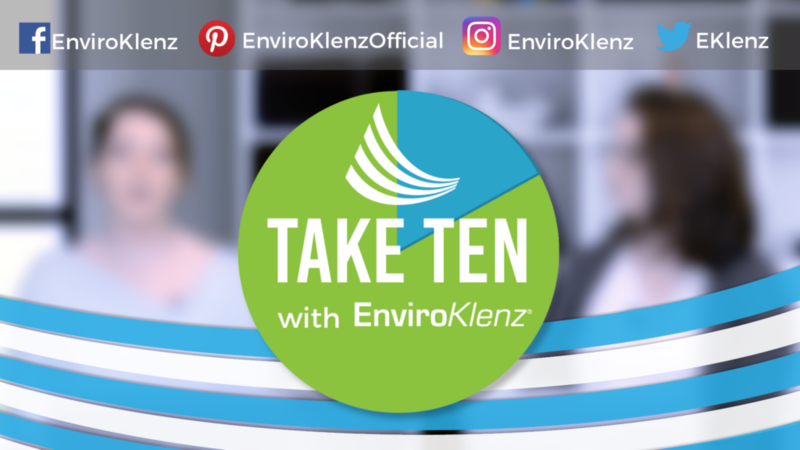 The EnviroKlenz Mobile System is a state of the art air purification system that removes toxins like volatile organic compounds (VOC’s) from the air, as well as fragrances, allergens, and unpleasant odors. 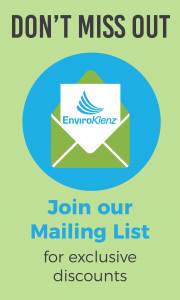 Its HEPA certified filtration system, coupled with EnviroKlenz’s unique high-efficiency air cartridge, can purify air within an 850 feet radius. The system has three settings to choose from: low, medium, and high. Many users of this system report decreased symptoms from allergies, chemical sensitivities, and autoimmune symptoms within days of starting. By taking steps to cut out these triggers, you will be on your way to feeling better and living your life free of symptoms associated with your autoimmune disease. Learn how about symptoms of toxic mold here.